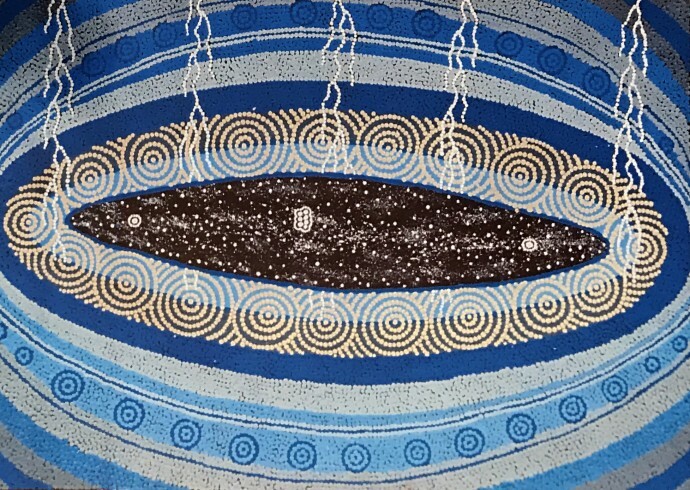 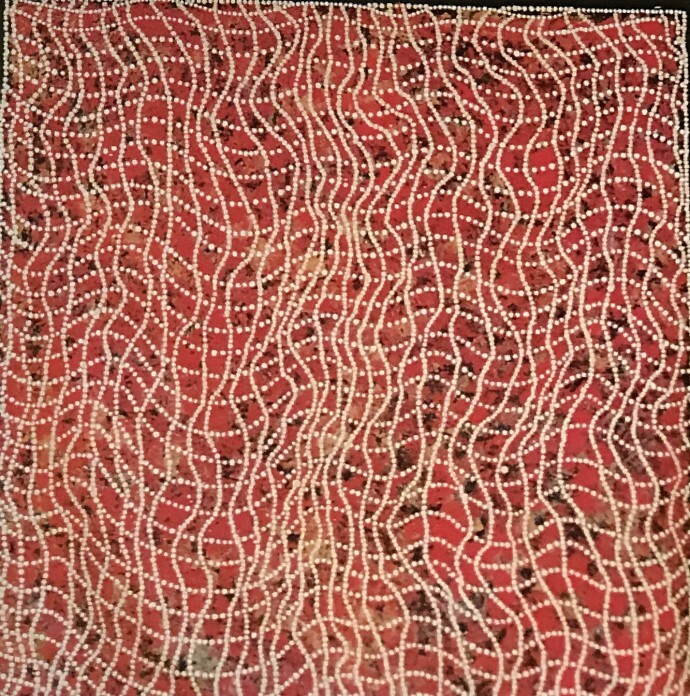 Malcolm Jagamarra’s Milky Way Dreaming incorporates the intricate dot paintings of the Warlpiri people from the Lander River in Western Australia. 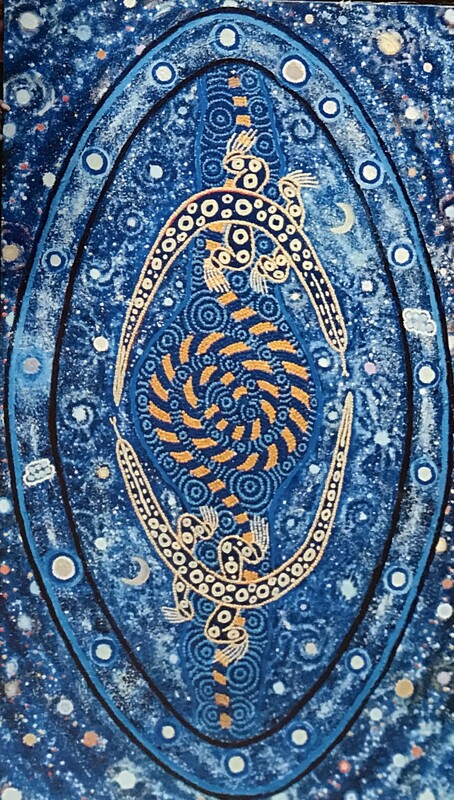 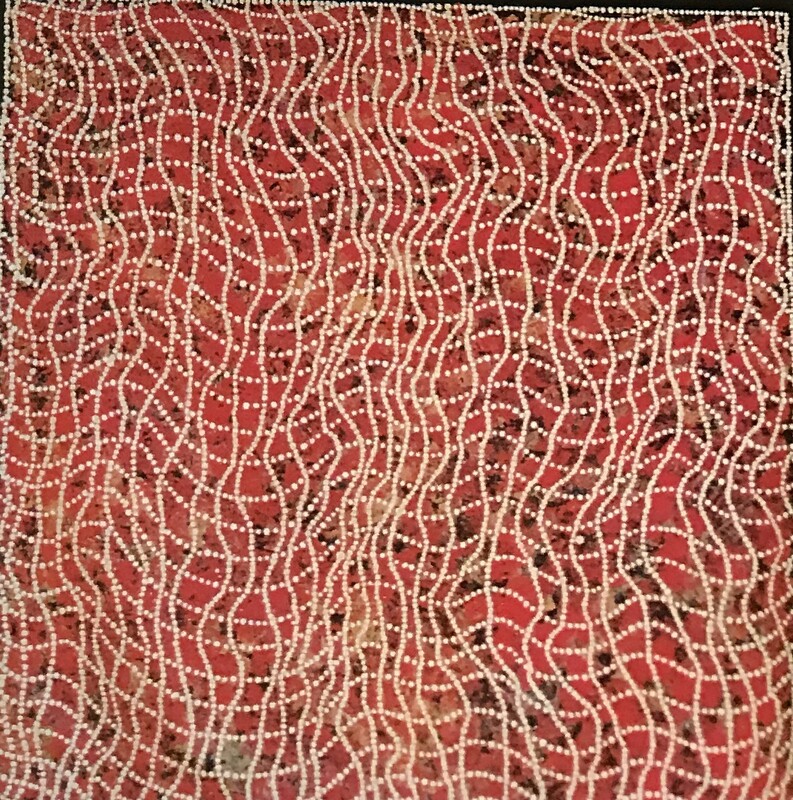 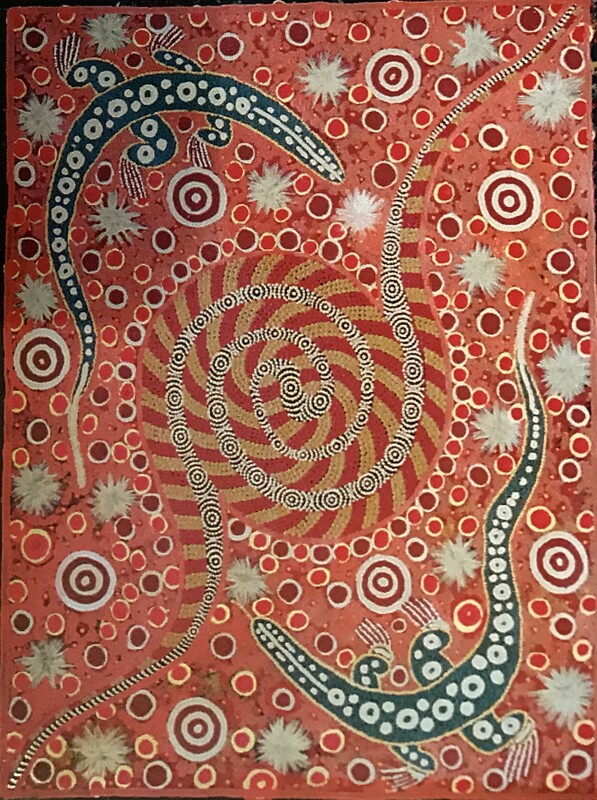 His paintings have evolved from sacred songs and dances of the Warlpiri people including the Snake, Goanna, and Milky Way Dreaming. 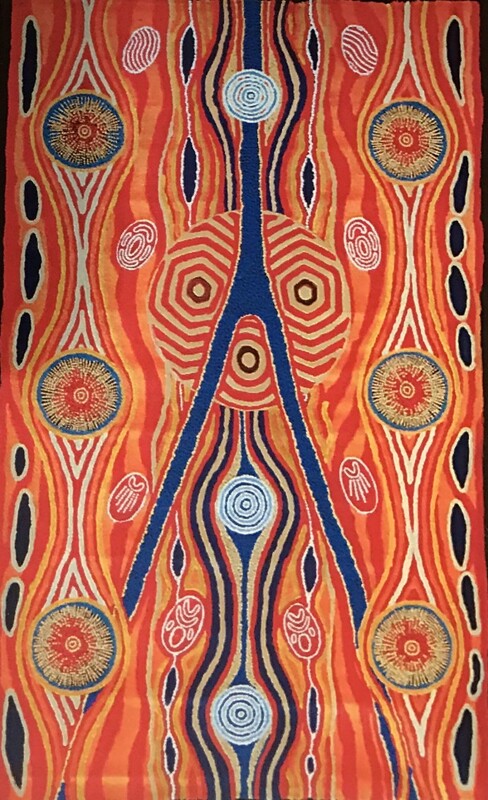 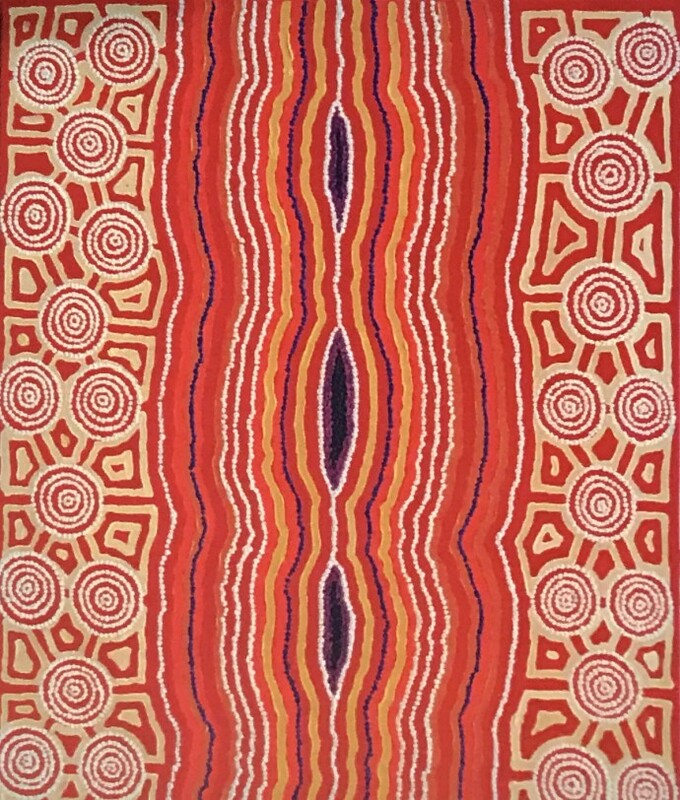 Malcolm Jagamarra is considered one of Australia’s most talented and dynamic Aboriginal artists. 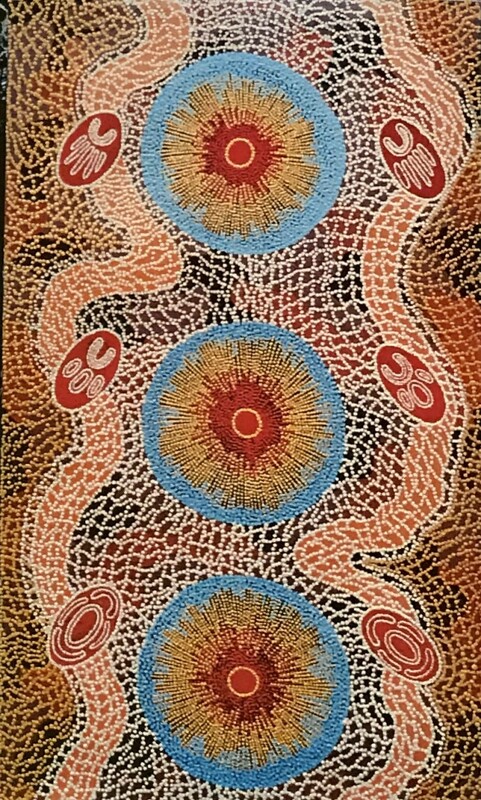 “In the beginning or Tjukurrpa (dreamtime), Aboriginal people believed that in our country, Australia, everything was black and the creator gave to all people their religions, their way of life, their walk. 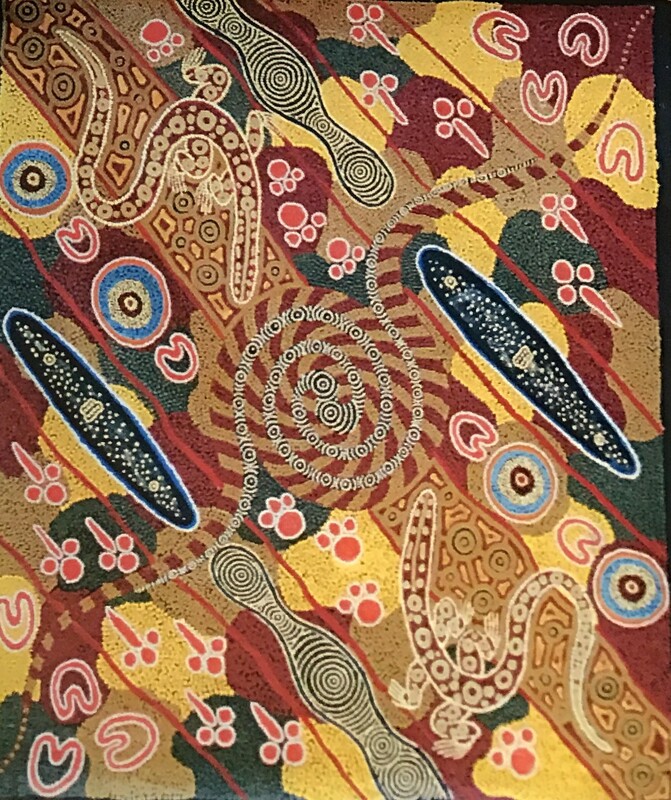 He gave to each people their thing, to Islams Islamic, to the Buddha’s Buddhism, to the Christians Christianity, to everybody their religions but he gave to the Aboriginal people Tjukurrpa (the dreamtime). 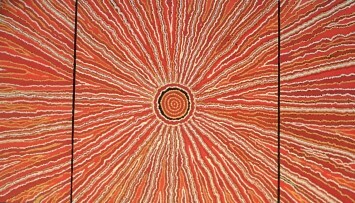 The Aboriginal people have kept these stories and songs alive since time beginning. 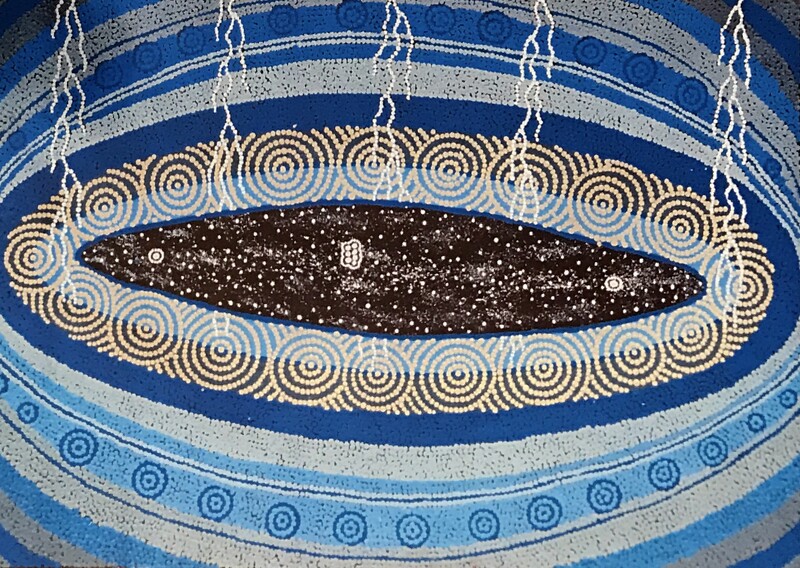 My family, the lander river Walpiri, are the keepers of many, many stories. 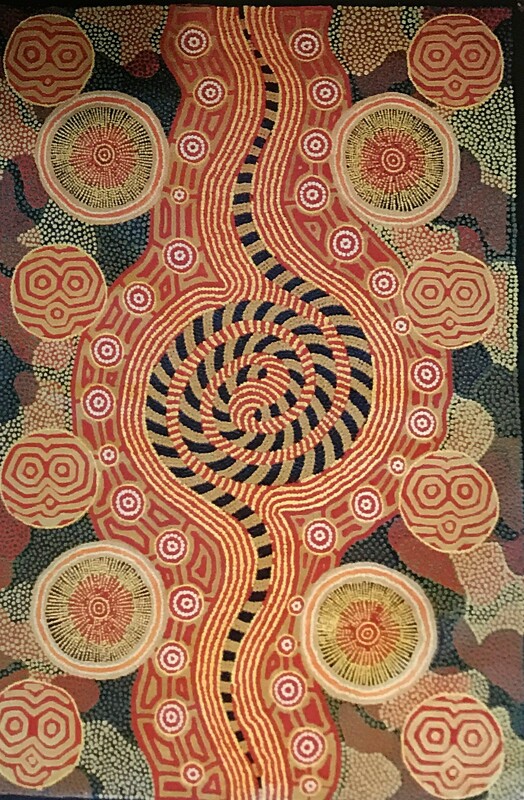 As an artist, I am the embodiment of the full circle of these people, and have travelled the journey of many of my ancestors through song, through dance, and through the way I walk in my life. 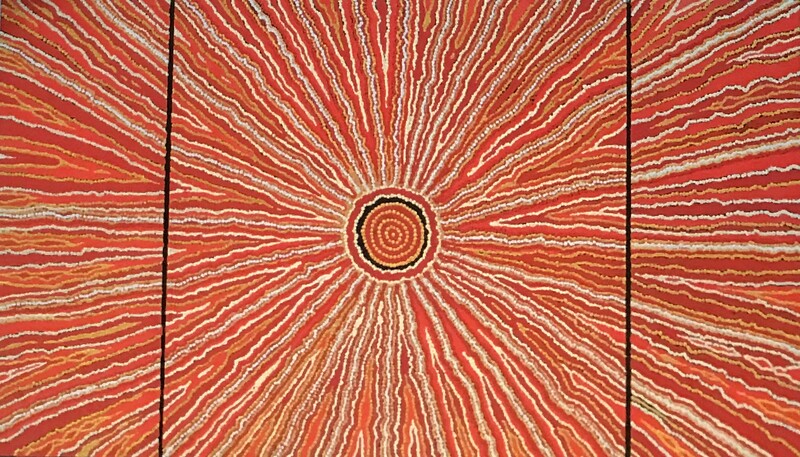 I have seen old man, knowledge beings and important assets in Aboriginal culture, that are revered as powerful men in the spiritual world. 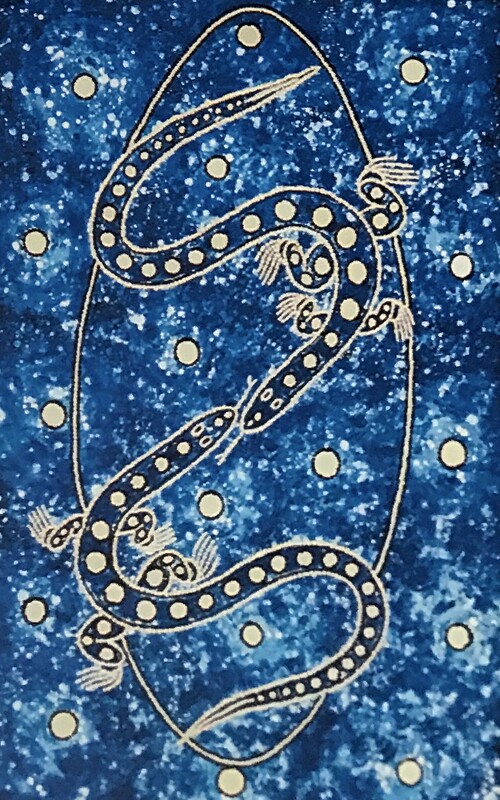 Great high priests have taught me stories which are my inherited right, from birth through my mother, grandfather and great grandfather, and whom were entrusted with the magic of disappearing. 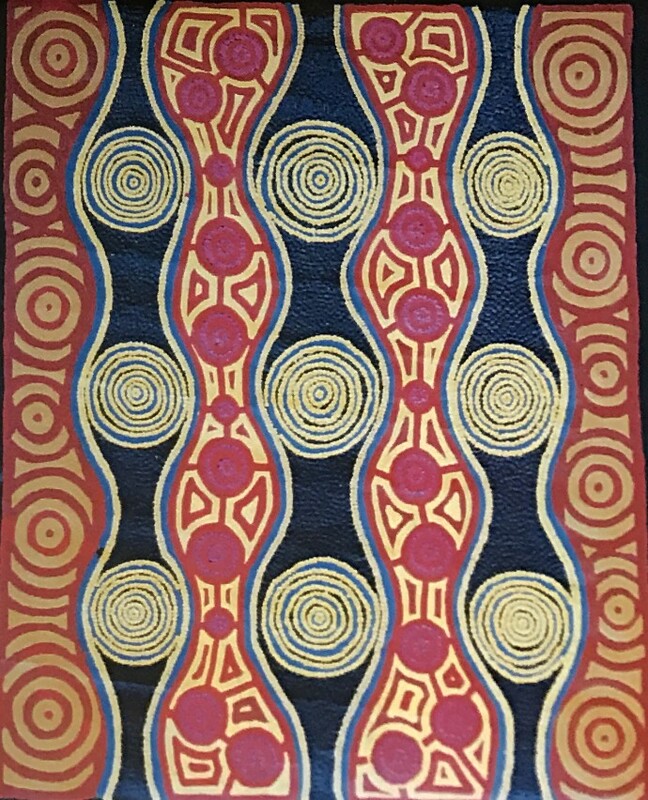 The ways of walking with my ancestors has allowed me to choose my freedom to be an artist and express, in 2001, the dreamings that are still alive in Aboriginal culture today. 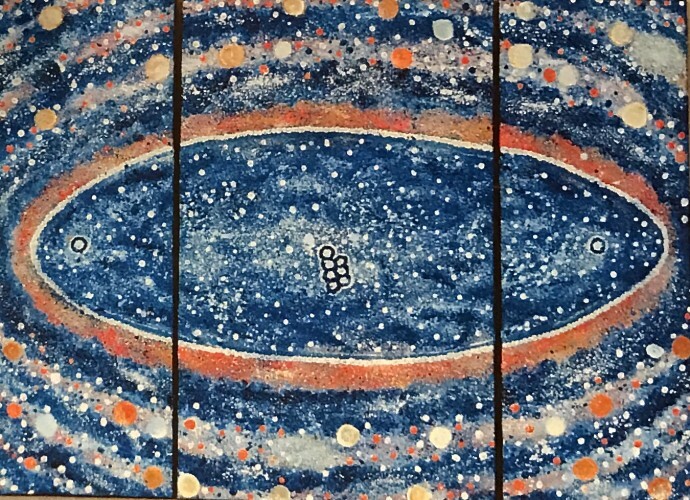 Yes, I use blues and purples in my paintings, and these are abundant colours that I have seen through my travels in the desert. 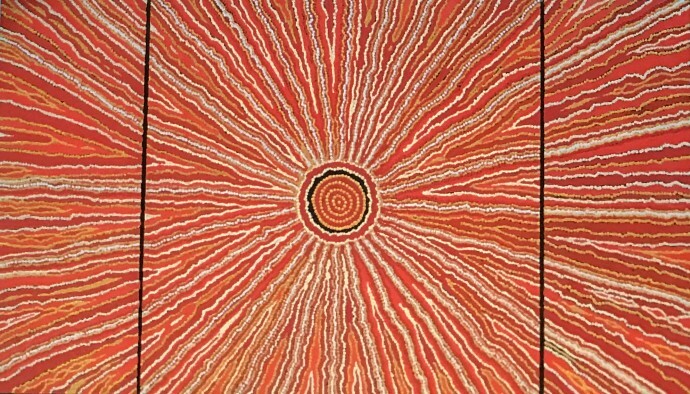 As an artist I believe that this is my right of expression to paint with the colours I choose. 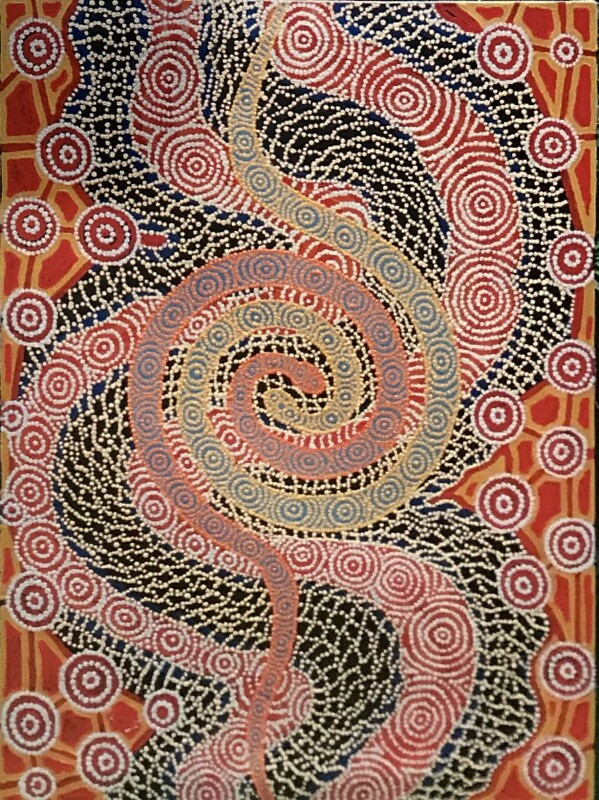 I paint stories that are already recorded, stories mostly to do with the black headed python, who is king of my country. Other poisonous snakes are no challenge for the black headed python and it is from the black headed python that many of my paintings and ceremonial stories arise.